We want the holidays to be a happy time for you and your pet, not a time for an emergency visit to your veterinarian. The food and decorations that make the holidays so much fun for us can be dangerous for your pet. 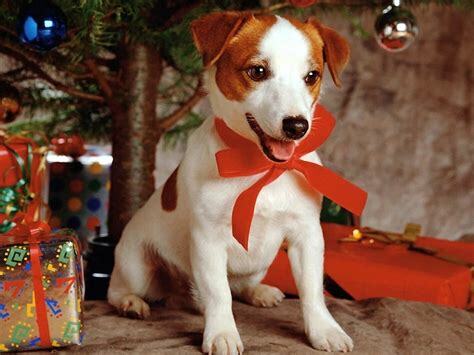 Christmas is a time of fun and happiness for both you and your pooch. The festive period, however, also brings with it new sights, sounds and smells, which could be potentially harmful to your dog. 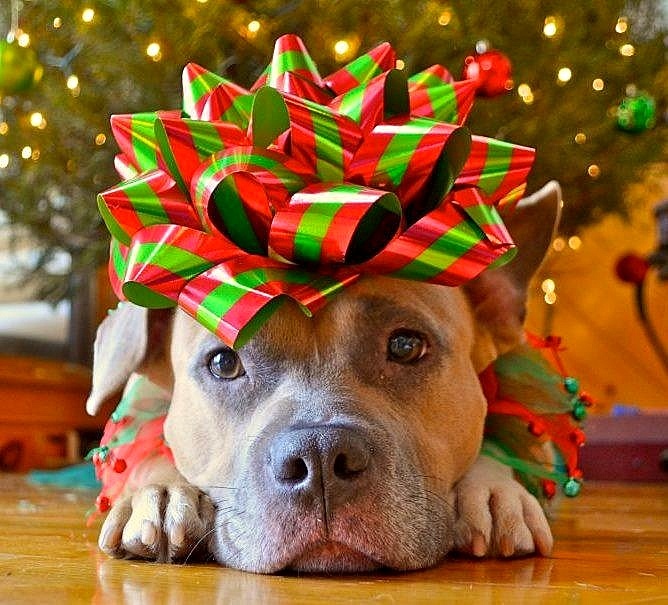 To make sure that everyone has the best and safest time possible, here are the top three tips to help keep your dog, owned or borrowed, healthy and happy over the holidays. With Christmas comes plenty of delicious food, however, many of the foods we commonly keep around the home at this time of year are dangerous to dogs. Most of us know that chocolate is toxic to dogs, but there are also other foods and plants that can be dangerous, including raisins, onions and holly berries. Our advice is to make sure food or interesting new objects are kept well out of reach and harm’s way. Any sudden change of diet can upset a delicate doggy stomach, so it is also a good idea to keep your puppy pal on their usual diet for the day and resist the urge to share your Christmas dinner, even if they are staring at you with those big puppy dog eyes! Dogs are sociable creatures, but even they crave some alone time occasionally! You’ll no doubt be entertaining lots of visitors over the Christmas period – some will be familiar to your dog, some won’t. Many dogs enjoy a bit of alone time. Making sure they have access to their bed in a quiet spot away from the excitement gives them the option to choose a power nap, should it be required. Guy Fawkes Night may have passed, but there are still lots of loud unfamiliar noises that might scare your dog over the festive season. Fireworks, crackers, even champagne corks – it won’t just be the bells ringing, it will be your pooch’s ears, too! It can help to create a ‘safe place’ for your dog, close curtains and doors to minimize noise and flashes, and play music in the house. It is also important to try and act as normal as possible – remember, dogs look to their pack leader to assess how to respond to a situation and if you remain calm, this will help. The best thing to do is allow access to their chosen ‘safe place’, let them decide where they’d like to be and act bright and breezy.